Later in the year, as the sun sets further north, the contours and contrasts of the hillsides will not be as evident because the light will be hitting the surface from a different direction — more straight on. Gold miners were not fooled by the color of the hills — but anyone with a camera will want to see the gold in the Badlands hills. We like to get into the Badlands a couple of hours before sunset — and that means it’s going to be cold in the winter. But if you’re bundled up for the cold, dressed in layers, and limit your time outdoors, the reward is greater than expected. We love the Golden Hour, that last hour of sunlight. In the Badlands, that means long shadows, distinct contours, and a color shift. For a few minutes, the landscape turns to gold, then as the sunset, the blue hour sets in. Just as the Golden Hour begins, the contours and contrasts of the hills become more apparent. Check the time for sunset. Rocks split from the wall. Wind Canyon Trail follows the cliffs on the east side of the Little Missouri River. Plan to scout the back roads such as East River Road, or West River Road about one hour before sunset. Look for a hilltop that overlooks a valley, a vista, or the Missouri River Valley. Walk out to that selected point about 20 minutes before sunset. Put the sun on your shoulder — don’t shoot into the sun, or directly away from it. Shoot 90 degrees from the sun, north or south. You will already notice the color has changed since you left for your golden hour shot, and it will continue to change. For the moments the sun sinks below the horizon, the landscape colors will shift from yellow-red to blue-red. Look to the eastern horizon opposite the sunset to see the Belt of Venus. The Belt of Venus is beginning to appear on the horizon opposite the sunset. Just before we lost the sunset entirely, the distant landscape picked up a gentle magenta glow while the hills in the foreground were still glowing yellow. On weekends, we like to get out and explore the region, so we leave with you just a snapshot or two on Saturdays. Pretty pictures to whet your interest in the Badlands. Subscribe in the box in the upper right to get a notice in your inbox when new snapshots are here for you. You’ll also get, free! 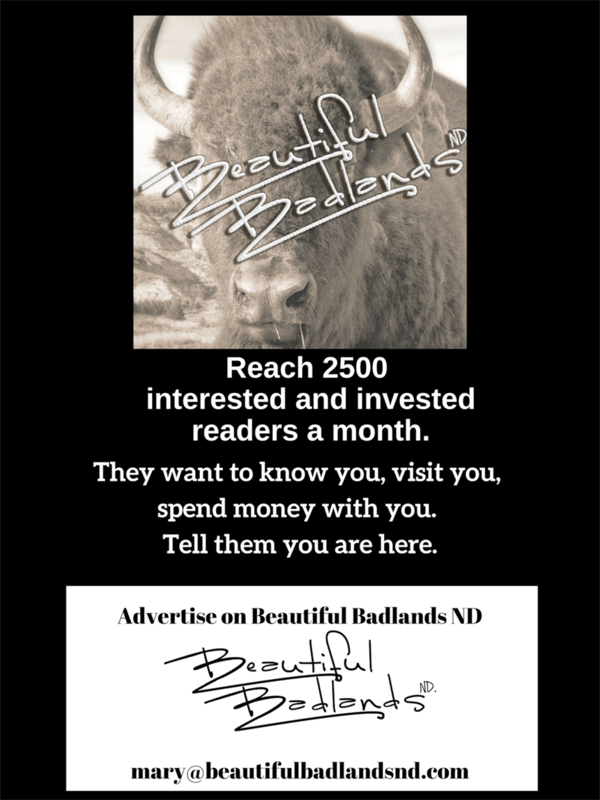 — the twice a month newsletter from Beautiful Badlands, including early hints and tips of events and attractions in the west. Just tell us where to send the newsletter. If you’re a dreamer and look for inspiration for your dreams, we’ll provide that for you. Just subscribe in the upper right to get a notice in your inbox and a twice-a-month newsletter that keeps your dreams inspired. Or browse the collection of Badlands images to get inspired.